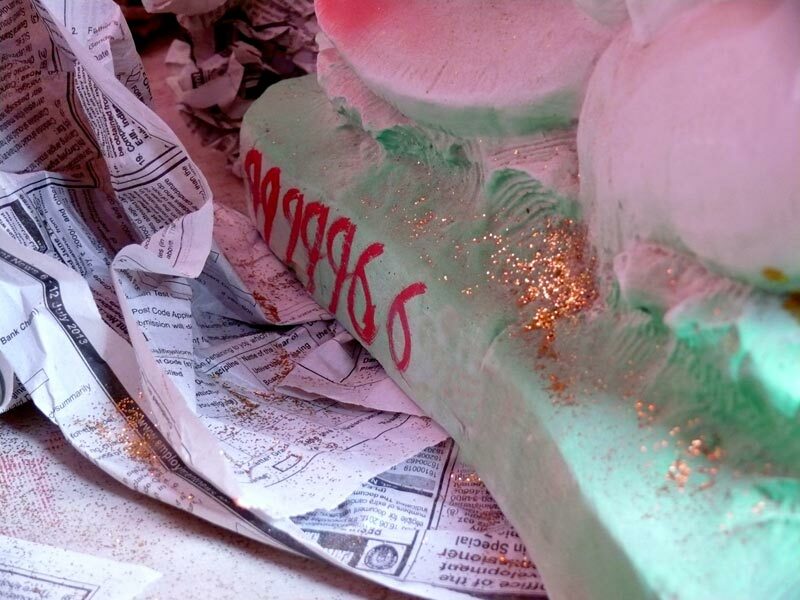 The only record kept by the people making Ganpati idol is your phone number at the back of the status and the amount you have paid and the amount that is due. Other than that, every instruction is ignored. This year we decided to select the icon early and went there more than a month in advance. However, even after repeated visits to the place, no work had been done on our statue. Finally I cancelled and took back my advance and went to another vendor. Like the first one, this guy also wrote my phone number but didn't record any other instruction. On the day I was supposed to check out the statue, I found that not much had been done. To make sure that my instruction are recorded in some manner, I made the artist mark the areas with the paint I wanted. He did that and guess what? 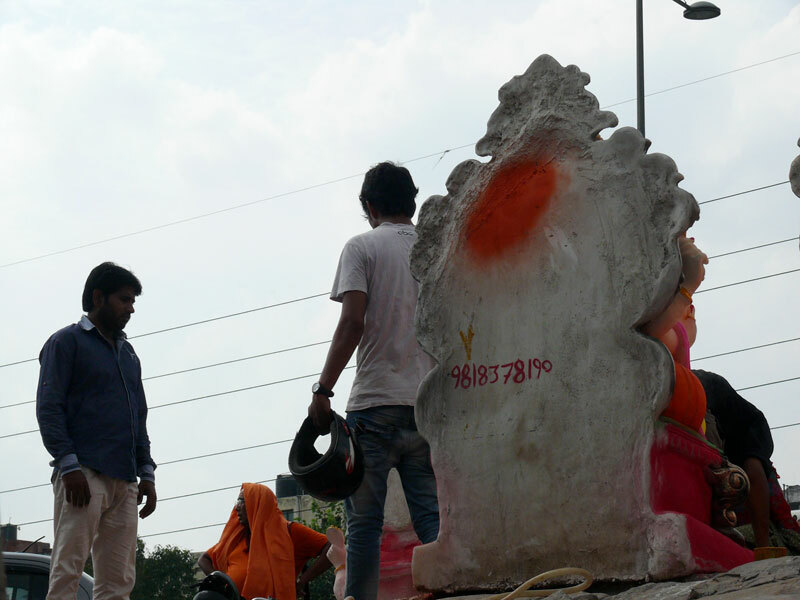 On the day we had to bring Ganpati home, we went there and realized that inspite of the paint patches he still did it wrong.